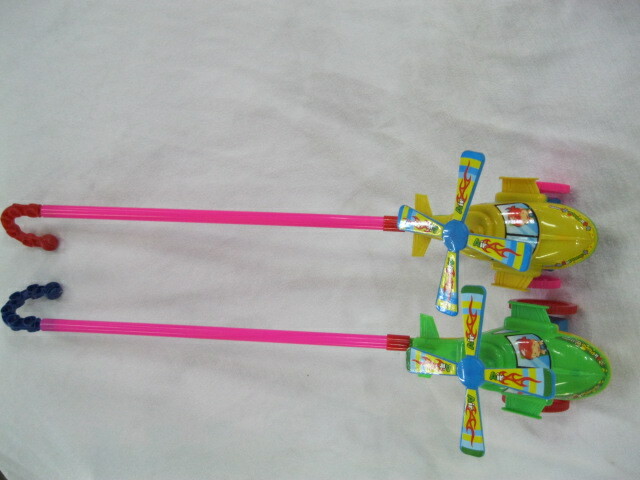 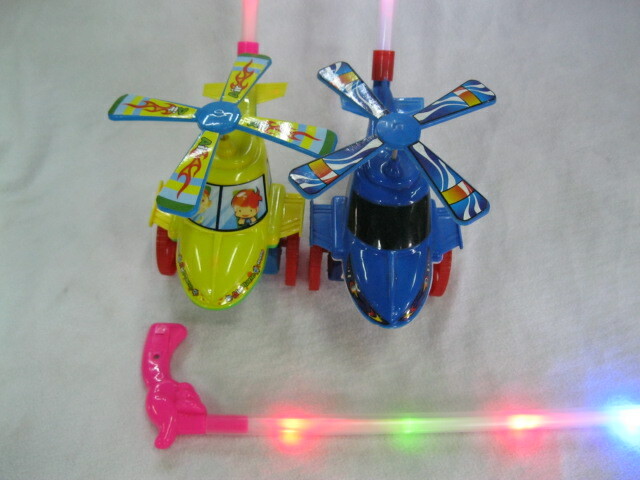 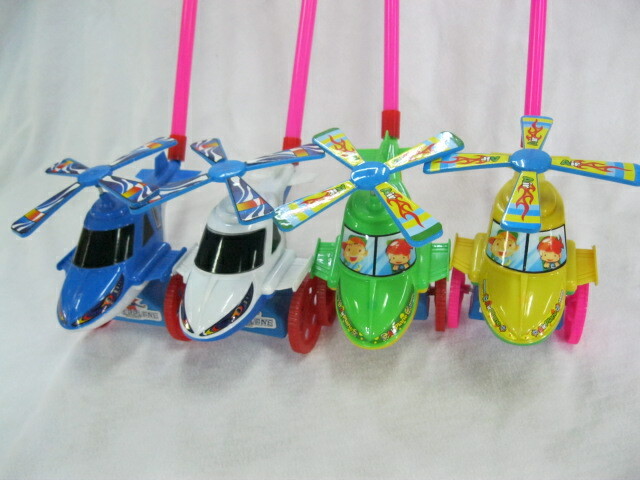 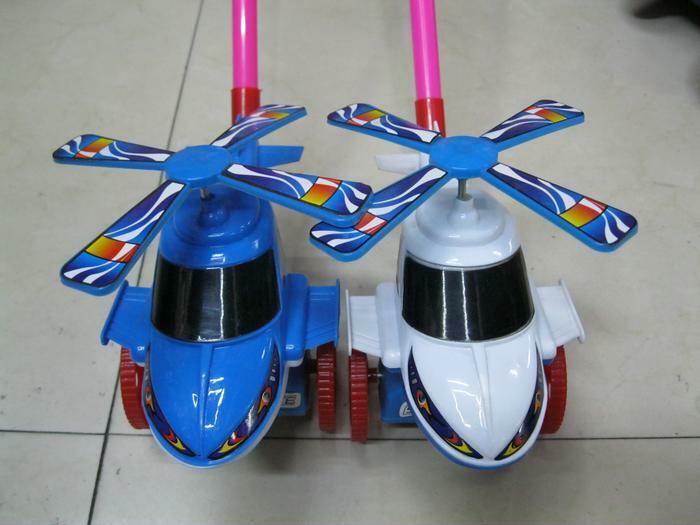 Push the helicopter toy is a toy for children, selection of high-quality plastic products rich color is gorgeous, modelling is exquisite, the appearance is the modelling of a helicopter, a variety of color, under the helicopter Luo Xuan oar by turning wheel can turn, behind a long stick, can push toys by hand. 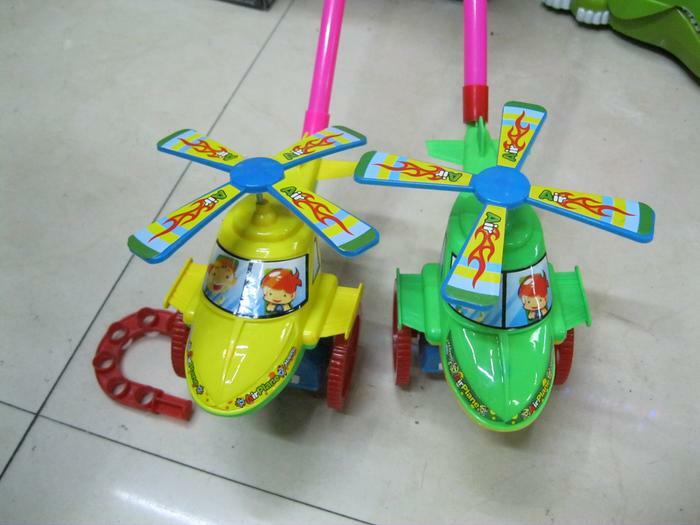 The hand-push helicopter is produced in yiwu, zhejiang province, China, only wholesale and not retail. 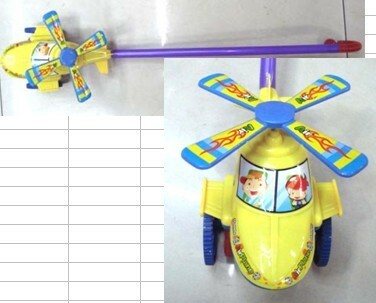 The packing specification is 180 / pieces, and the market wholesale reference price and quantity can be met. 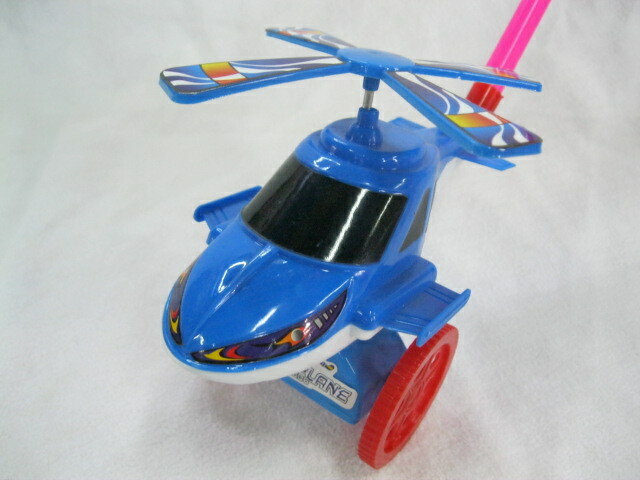 Hand-pushed blue helicopter toys for manual design, products safe and harmless, suitable for children when toys play, to relax play.